Looking to update the floors in your home? From Wichita carpet and tile to finished concrete floors and hardwood flooring. 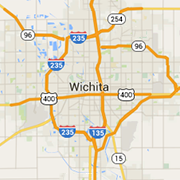 Wichita flooring installation experts are here. Or for the do-it-yourselfers, find carpet and flooring supplies and materials.